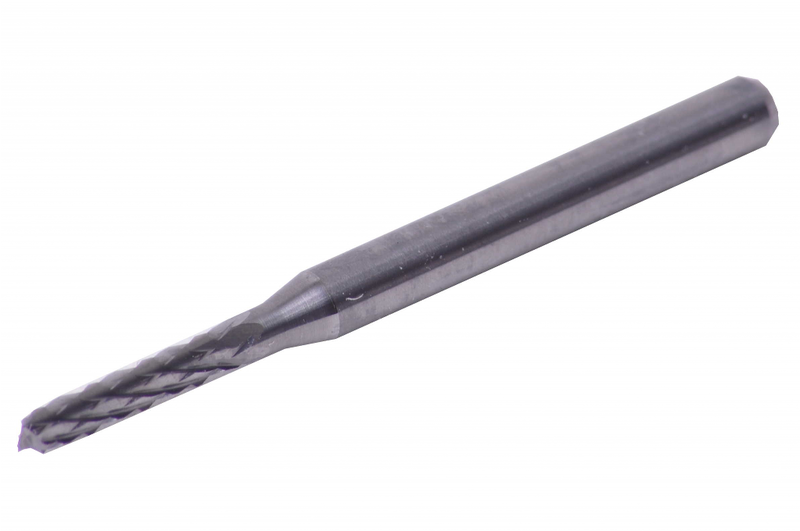 1.8 MM PCB End Mill - Zen Toolworks, Inc.
SKU: PCBEM18. Categories: Bits, PCB Endmills. Tags: 1.8, bit, endmill, pcb. This end mill is specially designed for cutting PCB trace patterns. The titanium gives extended cutting life. The cutter edge diameter is 1.8 mm. The shank diameter is 3.175 mm (or 1/8 inch). The cutting edge length is 3/8 inch. The overall length is 1 1/2 inch.